Nashville recording artist Bobby Marquez sings "Complicated Woman". Listen to his interview . - Newhillbilly website. 100% American Roots Music. Cowboy Anton from New Hillbilly interviewed true country singer Bobby Marquez on the first episode of Red Hot & Country. A fantastic approach to the Texan singer. Bobby Marquez has a magnetic smile and refreshing tongue-in-cheek, but heartfelt, honky-tonk style that stirs an energy with audiences singing and dancing along. The Texas-born singer/songwriter is reaching crowds far and wide on radio, national television appearances and tours across the U.S., Australia and Ireland. 2018 was a stellar year for the singer/songwriter. Not only was his highly-acclaimed album, The Cowboy Way, released, one of the tracks co-written by Bobby Marquez was up for a Grammy nomination. The song titled, For Awhile is a heartfelt duet with the Queen of Bluegrass, Rhonda Vincent. The song was also awarded Duet of The Year by the CMA of Texas. Bobby Marquez added to the honors with the Academy of Western Artists Pure Country Male Vocalist award and the CMA of Texas Cowboy/Western Artist award. Both honors celebrate his self-penned tribute song, The Cowboy Way, which celebrates the lessons of standing by your beliefs and keeping your word. The most recent accolades for Bobby Marquez follow-up on his self-titled, debut album which was not only chosen as the album of the year in European ‘Country Music People” magazine, but it was also a top-seller across the UK. The album produced the top ten Texas Chart and Music Row Chart hit, She’s Not From Texas. 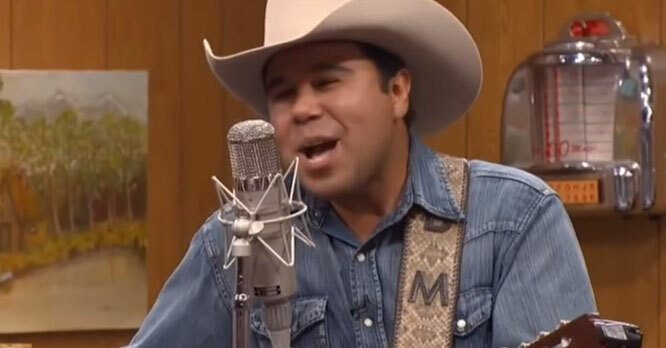 Bobby Marquez has been seen on national television shows, Larry’s Country Diner, The Penny Gilley Show, Better Nashville, Cheyenne Country, Studio 23 Nashville and Country Fix. His music is heard worldwide on radio. Satellite listeners can tune-in to Willie’s Roadhouse to hear Marquez’s music as well. The performer’s songwriting has been recorded by everyone from Alan Jackson and Ty Herndon to George Strait, Johnny Rodriguez and Rhonda Vincent. Bobby has shared the stage with Ray Price, Mel Tillis, Johnny Rodriguez, Martina McBride, David Ball, Janie Fricke, Johnny Lee and Lonestar… just to name a few.